Debuting in April 2019, Amadeus Star is a sister to Amadeus Queen, which set sail in 2018. 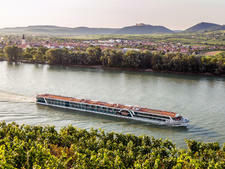 Like that ship, Amadeus Star is built to handle Europe's notoriously shallow rivers, with a hull that is shallower than most other river cruise ships by 5.9 inches, or 15 centimeters. 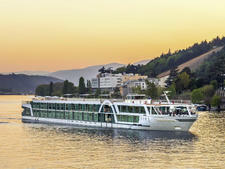 Amadeus Star has one defining characteristic that sets it apart from the rest of the fleet: It has been designed specifically to court younger millennial cruisers, though without resorting to the gimmicks that other lines have employed in the past. Carrying 164 passengers, Amadeus plans to have a "celebrity influencer" sail with each millennial-focused cruise in order to document it and provide exposure on social media. Other areas of differentiation for younger cruisers can be found in the way the ship organizes dining hours (open seating from 6 to 9 p.m.) and onboard options like proper yoga lessons, expanded touring options and lifestyle offerings onboard. Another new feature for Amadeus Star is a wine cellar bar, located at the back of the ship and surrounded by 270 degrees of panoramic windows. Excursions are not typically included in the fare, but Amadeus Star has a fleet of onboard bicycles that can be checked out free of charge on a first come, first served basis. Breakfast, lunch and dinner are offered in the Restaurant all the way forward on Strauss Deck. In an effort to offer more flexible dining hours, dinners are typically served in an open-seating environment from 6 until 9 p.m., while breakfast and lunch are open-seating buffets. This differs from the rest of the fleet in a bid to cater to the millennial market; other Amadeus ships have fixed dining times at assigned tables. Wine, soft drinks and coffee are typically included with lunch and dinner. A 24-hour coffee and tea station is located in the Amadeus Club at the aft end of the ship, which is also where the Wine Bar, unique to Amadeus Star, can be found. 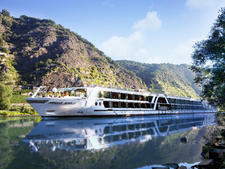 Riverview, French Balcony and Suite accommodations are offered aboard Amadeus Star. Cabins range in size from 172 to 284 square feet and all include queen or twin bed configurations, flat-panel television, ensuite bathrooms and toiletries. Several connecting rooms are available onboard; perfect for friends or extended families traveling together. Categories C1 and C4 both measure 172 square feet and have half-height panoramic windows that can't be opened. These accommodations are all located on Hadyn Deck. Categories B1 and B4 add French Balconies that feature drop-down panoramic windows and expand the living space to 188 square feet. 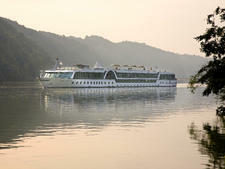 Category A1 staterooms are identical to Category B1 and B4, but are located at a different end of the ship. 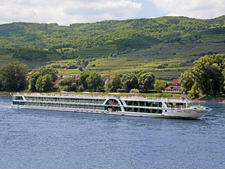 A total of 12 Amadeus Suites are located on Mozart Deck, the uppermost accommodations deck onboard. These suites are 284 square feet apiece and include a full step-out balcony, an in-suite mini-bar, walk-in closet and increased living space. The uppermost Sun Deck includes plenty of covered and uncovered seating options, along with a shuffleboard area at the bow; an oversized chess set (midship); and an outdoor terrace at the stern that features a spiral staircase by which to access the Wine Bar and the Amadeus Lounge one deck below. 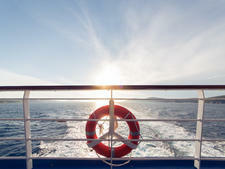 An outdoor bar, known as the Lido Bar, is situated right behind the wheelhouse. 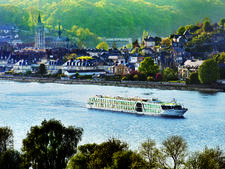 Amadeus pairs gala events like the Captain's Welcome Party with other fun diversions that include lectures, classes and local entertainment in selected ports of call. Otherwise, a piano player entertains in the evenings, and most guests can be found conversing over cocktails or taking in the scenery during downtime. Amadeus is squarely targeting young professionals and millennials with Amadeus Star, but the ship is still not a good choice for families with children. 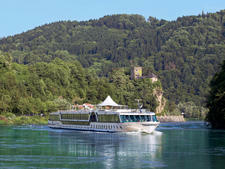 As with most river cruises, older teenagers and grown adults will find the most enjoyment on these itineraries. 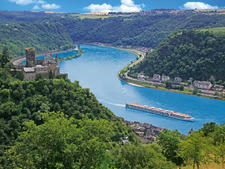 Amadeus Star sails various itineraries on the Danube and Rhine, from the eight-day Tulip Time cruises departing round trip from Amsterdam, to the Christmas Markets voyage sailing for one week from Passau to Passau. 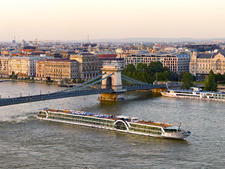 For the majority of the year, Amadeus Star can be found on runs from Vienna to Nuremberg; and from Budapest to Passau.